Tyler Socash is the Adirondack Mountain Club‘s Outdoor Skills Coordinator. The day after completing his master’s degree at the University of Rochester, Tyler embarked on a 7,000-mile thru-hiking immersion into wilderness. 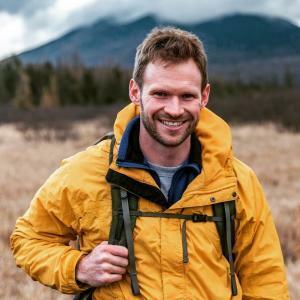 He joined the Adirondack Wilderness Advocates as an activist to promote the intangibles of wildness and their benefits to humanity. In 2017, Tyler put his thru-hiking skills to the test as he carried over 1,800 petitions 47 miles in 24 hours across the wildest remaining landscape in New York to advocate for wilderness protection. 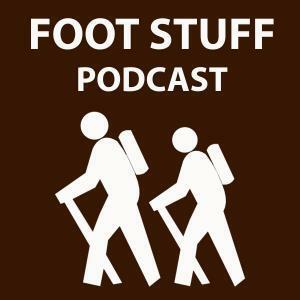 In an effort to meld humor with conservation efforts, Socash also co-created and co-hosts Foot Stuff Podcast, which spotlights outdoor adventure, antics, and activism around the country. You can check out all of Tyler’s wilderness adventures through his Twitter and Instagram account, @tylerhikes.